If you are like most families you are short on time, money and wondering how you can juggle your many titles that compose the word “parent”. Being a food writer & photographer I am always seeing the inherent potential in most anything I do. I look at the world through new eyes, nothing like I did when I was married. I bought some Toll House Holiday Thanksgiving Sugar Cookies with full color imprints saying wonderful messages like “I Am Thankful For”, “Thanksgiving”, bright orange photos of pumpkin pie, cute smiling turkeys and well, I couldn’t resist. I saw the word FUN written all over it, and thought it would be a memorable time and gift for my friend Nick Belman. While I was opening packages with scissors and laying out a nice big clean spot to work and bake, lining and greasing a large baking sheet, Nick was taking photos for me. God bless him. We have become a real team and great friends. Each package makes about two dozen sugar cookies and even the smallest child can help with these and have just as much FUN as if you slaved and dirtied your kitchen all up with flour! I am a firm believer of the mentality of “you don’t have to make everything homemade”. Now, granted I cook a lot of things from scratch because I love cooking and baking etc., but you aren’t any less of a mom or dad or person if you buy a mix or a well-made prepared food product now and then. That being said, on with the cookie show! Buy as many packages of the refrigerated dough as you have people. That way, if a few people eat some, which I guarantee they will, (because Toll House knows how to make great cookies), so you will have plenty to keep and give a few away to brighten people’s Thanksgiving. To make these, all you do is heat the oven up to 350 degrees, as on the package and bake about 8 minutes. Presto-Cookies! 1. Ask your children when they hold the baked cookies in their hands-the one that says “I am thankful for”…what they are thankful for. It will give you a chance to get to know your kids better and them you. 2. Have your children ask you what you are thankful for. Flip the coin in the other direction. This is a nice way for you to relax, take the evening off, take advantage of a rainy night or afternoon and just do something that will give you minimal clean up-a baking sheet is all you will have. 3. Ask your children what they would like for Thanksgiving Dinner. Let them look through cook books with you. 4. Have them be a part of the cooking, if at all possible. 5. Let them stir the mashed potatoes, if you are serving them. I grew up with my Nanny-my dad’s mother-who lived with us and was an awesome cook. She made me useful, as she put it, and gave me a lot of fantastic memories now that I am older. I am glad she had me do everything and anything I was able to. These are skills I use without thinking of it now and when I make a dish she made, or my dad made-or my mother-God bless her, I remember the wonderful times we had together making it. Your kids will thank you in the future too. Devise simple dishes they can make with you. You will find you are building a relationship with your children, and it is a great way to foster family time. One of my writer and blogger friends made a Gratitude Diary. I will suggest that you and your kids create one too. 2. Write down as many things you are thankful for each day before you go to bed. 3. Not only will I help you develop gratitude but also a thankful spirit and attitude. No matter what your living situation or what you are going through, things will go along easier and more effortlessly with this kind of mentality. I hope this story will give dozens of families new ideas and I hope the television and video games will go off and families will learn how to “turn themselves on” by looking at each other and talking without cell phones or iPod. Thanksgiving is a time for the entire family to gather and celebrate the good things that have happened during the year. The holiday is much happier when everyone gets a chance to contribute. Children are excited when they are invited to join in the fun and these Thanksgiving craft ideas for kids will make your 2013 party one to remember. It doesn’t take many supplies to create a funny and colorful Turkey for your Thanksgiving table. All you need is a cup, a pompom, 4 sheets of construction paper, and some brown paint. Add a little glue to the mix and a pair of wiggly eyes from the craft store and your little one will be ready to assemble this special Thanksgiving craft idea. 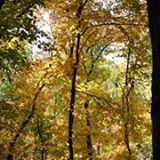 Oxley Nature Center’s 9 miles of trails would be so very fun with all the fall color right now. But it has it’s beauty with all of the different seasons. The trials are available 7 days a week. Please check their website for specific information about hours. www.oxleynaturecenter.org You will also find the maps on their website. Oxley Nature Center is part of Mohawk Park near the Tulsa zoo. The website has directions. You might also check out their Facebook page. I know it’s Thanksgiving around the Mosley casa when I get out Squanto and the Miracle of Thanksgiving . You must, must, must, must, must read this book this year. Squanto’s life is a beautiful, God-centered story of redemption, and most secular accounts of Squanto omit those details. 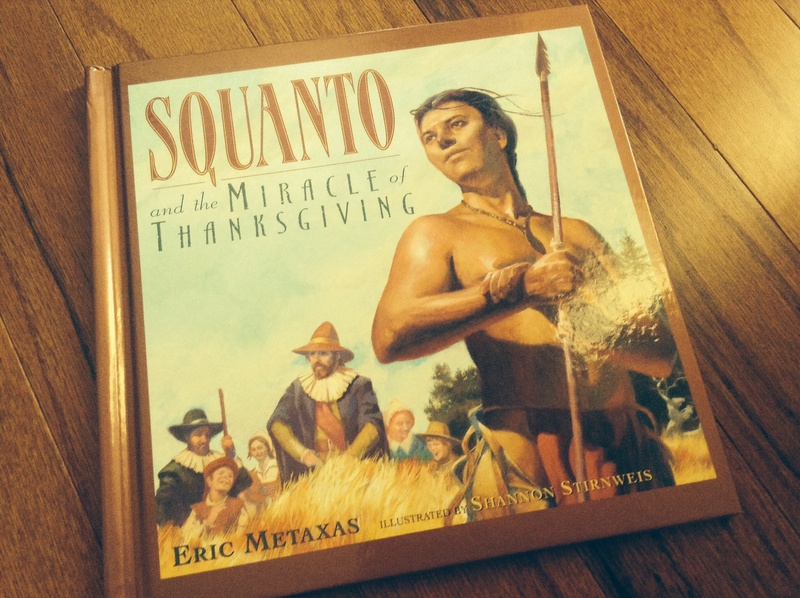 Read this post from last year’s archives, One Miraculous Children’s Book that All Ages Need to Read This Year, not to learn about how great Squanto was but to be reminded of how great the God of Squanto is.